Kendra's Story | Ukulele Kids Club Inc.
My name is Kendra Jennings. I am 17 and suffer from a very rare disease. I spend most of my time in the hospital. I play guitar, banjo, and now thanks to you guys, I can play ukulele too! I received one from this organization a little over a year ago and it has been a blessing. It’s an easy way to relax and convenient to bring my music with me. I believe in the power of music therapy, it has helped me in many ways since becoming chronically ill and has allowed me to help others! 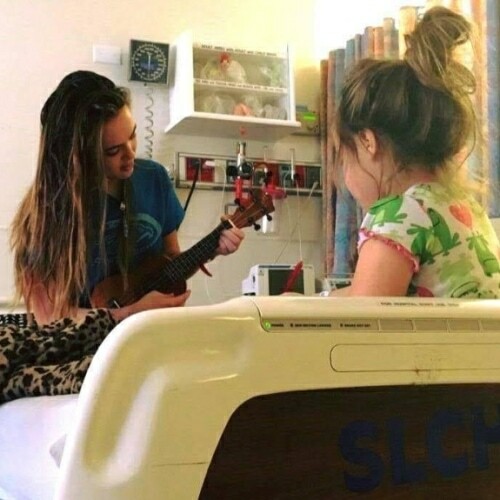 Sometimes we have to share hospital rooms and to cheer up the kids I get roomed with, I play my uke for them to make there stay a little less painful. 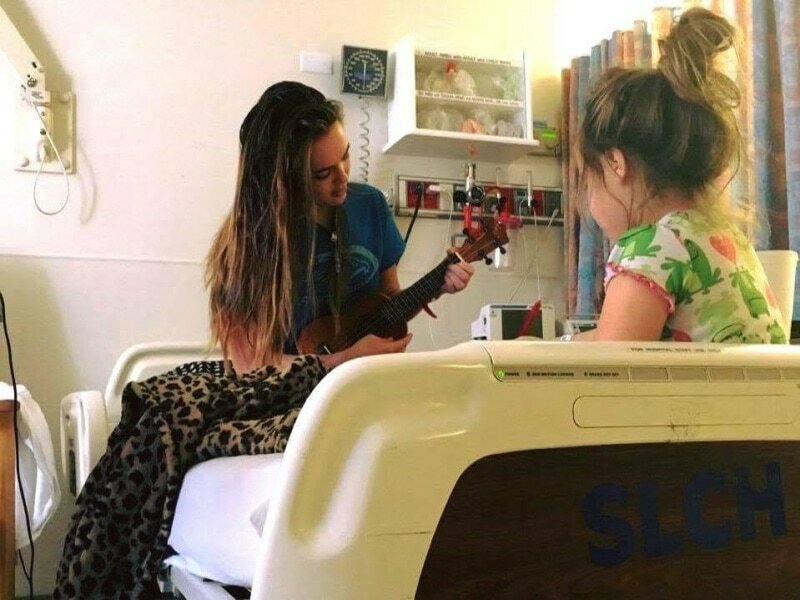 Thanks for allowing me to share the joy of music therapy with others. In the photo above, I was playing to my 5 year old roommate as we both got IV therapy meds at the same time.